All in all, I think we're going to have a great month. I've got quite a few wonderful polymer clay artists to share with you this month, but I've always got room for more. If you make polymer clay jewelry and would like to share your work or a tutorial here, please email me at cyndi @ mazeltovjewelry.com (remove the spaces) and tell me about it. Beginners and seasoned artisans like are welcome! 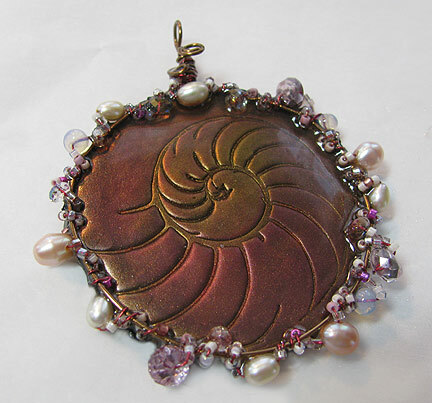 Now that is an interesting clay ammonite piece Cyndi, have to say I love fossils!